A home security standalone dvr system can provide the security and peace of mind for most residential applications. 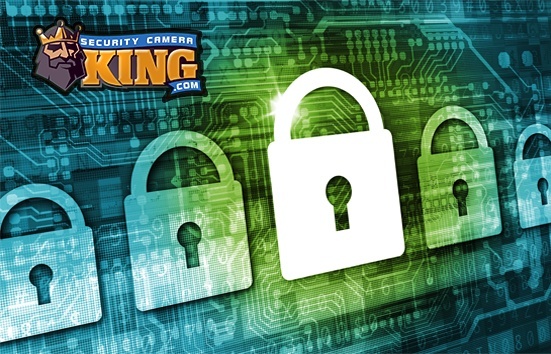 Huge selections in camera types, video recording technologies and monitoring options have made digital video camera systems the ideal choice for home security and monitoring. Digital video cameras for home security standalone dvr systems are manufactured in two basic types, indoor and outdoor. Outdoor cameras are usually “weatherproof” meaning they are able to withstand environmental weather conditions like rain, snow, and heat. Indoor cameras are designed for used in covered environments and do not usually contain the same type of camera enclosure that provides protection from the elements. Both indoor and outdoor digital video cameras for home security standalone dvr systems can be wired or wireless. A wireless camera does not require an image transmitting cable to be connected from the camera to the processing unit. Instead, these cameras transmit their data via built-in antennae to receiver units that are usually located near the processor, dvr, and monitor. Wireless camera units usually transmit their data on the 2.8 or 5.8 MHz radio band and can provide fairly long line of sight ranges for transmission. Whether the cameras are indoor/outdoor and wired/wireless they can also be day/night vision or infrared (IR) night vision cameras. Digital video cameras produce a video image by using one of two different types of electronic sensors, both of which can produce color or black and white video. Charged Coupled Devices or CCDs and Complimentary Metal-Oxide Semiconductors or CMOSs convert captured light into electrical energy that can be used to create high quality video images. CCDs and CMOSs can be very sensitive light and create high quality video in very low light conditions, utilizing as little light that is available on moonlit nights for example. Cameras that use these sensors are usually referred to as day/night vision cameras and although they can operate in very low light condition, some visible light must be available to produce a video image. There are digital video cameras that can operate in conditions of total darkness. These cameras are normally called night vision cameras and operate by creating video images from infrared or IR light. CCDs have the inherent ability to detect IR radiation light which is invisible to the human eye. A digital video camera for home security standalone dvr system can take advantage of this characteristic by “bathing” the target area with IR light. Since the light is invisible to the human eye, we cannot see or detect the presence of the IR light. IR Light Emitting Diodes or LEDs are used to produce the IR light for this purpose. IR LEDs are placed around the camera lens so they are aimed at the same target area as the camera and illuminate the area to record IR video. IR images are monochromatic or black and white. The home security standalone dvr system is a security camera system that does not require any additional equipment, such as a personal computer to operate. The cameras transmit their data to a processor or capture device that converts the electronic information sent into a digital video file that can be watched on a monitor and stored on a digital video recorder or dvr. Often a COmpression/DECompression (CODEC) programs or wired circuits are used to reduce the size of the digital file while maintaining high quality video images. This provides for easy storage and portability of the file, allowing large amounts of data to be stored. 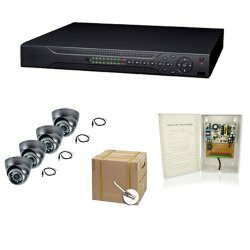 The digital video recorder of a home security standalone dvr system is much like the hard drive on a personal computer. It is a magnetic storage disk or plate that stores the video in digital file format for later viewing or archival purposes. Files can even be copied to other mediums and viewed on personal computers or DVD players. Home security standalone dvr systems can be used to for a variety of applications. They are great for providing perimeter coverage of the residence for security and surveillance purposes. They can also be used inside the home to detect and recorded unwanted intruders. In addition they can be used as bay room monitors, nanny monitors, and pet monitors.